Nanotechnology is the science of ‘miniature’. Nanotechnology is the engineering of working systems at the molecular level. Due to its advancement in technological area, nanotechnology is the upcoming field which interests many people. It is the science of the future which includes innovations that can change the world. From the clothes and sunglasses we wear to computer hard drives and even cleaning products, nanotechnology – often inspired by the natural world – plays a big part in the manufacture of many familiar products. It boosts our sunscreen’s ability to reflect harmful ultraviolet radiation, armors our designer shades against unwanted scratches. The gadgets we use to store our photos and songs also use nanotechnology on their respective hard drives and flash memory. Nanotechnology is an inescapable part of modern everyday life. Nanotechnology as defined by size is naturally very broad, including fields of science as diverse as surface science, organic chemistry, molecular biology, semiconductor physics, micro fabrication, etc. The associated research and applications are equally d i v e r s e , ranging from extensions of conventional device physics to completely new approaches based upon molecular selfassembly, from developing new materials with dimensions on the nanoscale to direct control of matter on the atomic scale. Indian industries have started realizing the commercial viability of Nanotechnology quite recently. Thus it is one of the hottest career options available to Indian engineering graduates. Nanotechnology in India is targeted towards the main streams like electronics, healthcare markets, and other industrial products. Many scientific institutions have been doing Research and Development (R&D) in this field. It is a powerful technology which aids the development of products with futuristic performance. The two major categories of nanotechnology are nanoscale technology and Molecular manufacturing. Nanoscale technology covers small structures and can be used for introducing stronger materials, better medicines, and faster computers and so on. Molecular manufacturing is an attempt at building mechanical and chemical manufacturing systems that join molecules together. The scope and application of nanotechnology is tremendous and stupendous. Indian engineering and science graduates are increasingly opting for nanotechnology. Right from medicine, pharmaceuticals, information technology, electronic, optoelectronics, energy, chemicals, advanced materials to textiles, nanotechnology has its applications. Nanotechnology provides job opportunities in health industry; pharmaceutical industry; agriculture industry; environment industry; food and beverage industry as well in government and private research institutes. A lot of job opportunities and research career exists in the areas of Nano-device, Nano-packaging, Nanowires, Nano-tools, Nano- biotechnology, Nano crystalline materials, Nano photonics and Nano porous materials to name a few. 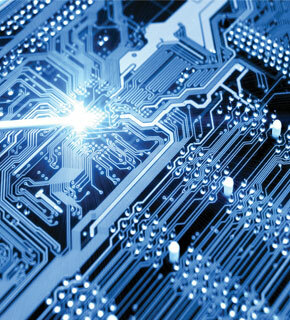 It is estimated that around two million nanotechnology skilled workforce will be required world wide by 2015. Many government institutes and Indian industries have focused on nanomaterials. It is also estimated nanotechnology will create another five million jobs worldwide in support fields and industries. A professional in the field of nanotechnology can easily find lucrative jobs in most of fields. Since nanotechnology is a special branch that essentially combines physics, chemistry, biology, engineering and technology, it is opening up job prospects for students specializing in all the mentioned subjects. The career opportunities in the fields of Nanoscale science and technology are expanding rapidly, as these fields have increasing impact on many aspects of our daily lives. A professional in the field of nanotechnology can easily find viable career opportunities in various sectors. They can work in the field of nano-medicine, bio-informatics, stem cell development, pharmaceutical companies, and nano toxicology and nano power generating sectors. The major areas for the development of applications involving nanotechnology are medical and pharmaceuticals, information technology, electronics, magnetics and optoelectronics, energy chemicals, advanced materials and textiles. Nanotechnology has varied applications viz. drug delivery to treat cancer tumor (without using radiotherapy & chemotherapy), solar energy, batteries, display technologies, opto-electronic devices, semiconductor devices, biosensors, luminous paints, and many others. A major challenge in this emerging field is the training for a new generation of skilled professionals. An abundance of job opportunities is awaiting for candidates with M.Tech in Nanotechnology in India and abroad. Indian industry has focused on nanomaterials and many scientific institutions have started research and development activities in the field. The CSIR (Council of Scientific and Industrial Research) has set up 38 laboratories, across the country, to carry out research and development work in this field. Those with PhD in Nanotechnology will have vibrant opportunities in the Research & Development sectors. The eligibility criteria to pursue career in nanotechnology is post graduate degree in the subject. For the post graduation in nanotechnology candidates must have a Bachelor’s degree with at least 50% marks aggregate in Math, Physics, Chemistry and Life Sciences with PCS as subsidiary subjects. It is a perfect career for those who have a scientific bent of mind and a passion for studying and experimenting with the minutest molecules. Students with a science and engineering background and even mathematics with physics background can pursue Nanotechnology as a career. Candidates with M.Tech in Nanotechnology are in great demand both in India and abroad. The opportunities in nanotechnology are enormous but it requires lots of dedication and hard work to achieve the level of expertise in this field. The sectors which are developing are medical sciences, electronics, information technology and other disciplines which are using this technology to understand the growth and usability of this technology. People in this field can develop themselves in health industry, agriculture, environment industry, food and beverages, space research, and other industries as it has a very wide scope. Remuneration generally, the starting salary for one with an M.Tech or PhD degree in nanotechnology under one’s belt, is in between Rs. 3 lakhs to Rs. 10 lakhs per annum. Nanotechnology is a booming industry which is expected to throw up a large number of job opportunities with handsome pay packages in the future. Fresh PhD holders from IIT’s are absorbed by multinational nanotechnology companies with salaries ranging between Rs. 9 lakhs to Rs. 12 lakhs per annum. The author is the Dean of Rajasthan Institute of Engineering and Technology. He has got a rich and versatile experience in the industry and academia. He is an M-Tech and PhD from Jamia Millia Islamia University. Dr Whig is a permanent member of international association of engineers Hong Kong. 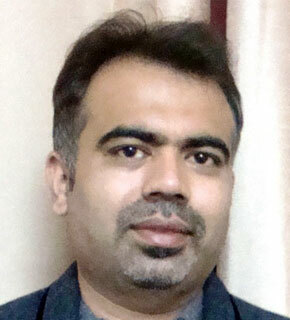 He is also an honorable member of ISTE Delhi Chapter 2008-2009 as well as a student member of IEEE at Jamia Millia Islamia (Central University). Significantly an institutional membership of ISTE Jaipur section as well.